Thread: Revamped Recruitment Manager role & applications! So you guys wanted change to the recruitment department? Well, changes are here! For a while now I had lost direction with the department and I hold my hands up and say that was totally my fault but after recent feedback it gave me the kick up the bottom and there's a more clear direction to the department now, I'd like to thank everyone for their feedback and ideas, it really did help. Anyway, firstly, I'd like to kick off by letting you know our recent update. 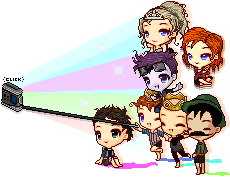 We've introduced a new "Buddy system" which means all new staff members will be assigned to a another staff member where they will be befriended and shown the ropes of how to be Habbox staff, encouraged to post around on the forum, attend events and generally get involved with everything Habbox! - Lead and/or assist in staff bonding activities such as group skype calls, discussions, online games, staff events/tournaments etc. 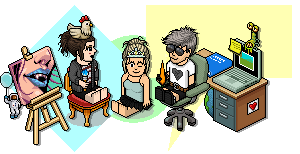 - Be aware of recruitment stats across Habbox to identify successful departments and areas that need a helping hand. Applications will close Thursday 20th September 23:59 BST. Not too long for you to get your applications in!